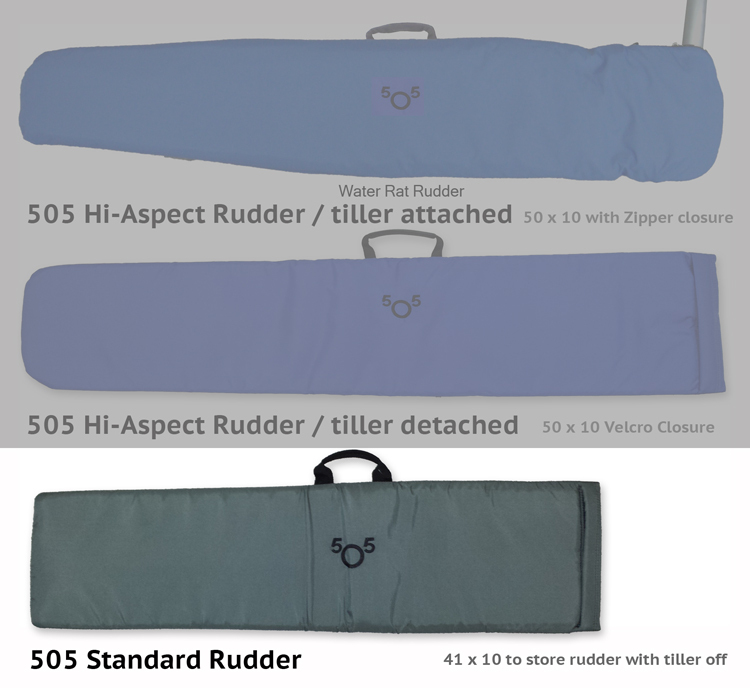 505 Standard Rudder Cover - Padded -- One Design Sailboat Covers -- The Sailors Tailor, Inc.
Our rudder cover on steroids! A thicker padded version of our rudder cover. These rudder bags have a nylon shell outside with a tricot foam inside. In addition there is a quarter inch layer of close cell foam inserted in between these layers giving maximum protection. A great way to protect your rudder while storing or transporting to and from the lake. Velcro closure, handle, and class monogram make for a very attractive addition to your covers. This bag fits a standard 505 rudder up to 41" x 10".